THANK YOU for TEN WONDERFUL YEARS!! As we look back over the past 10 years and all we have accomplished together it is so amazing to think that our little Randy brought so many together to do so many wonderful things. It is through your generous support that we have been able to contribute to so many awesome organizations and charities for all of these years! The “Run for Randy” has been an incredibly healing experience for our family and we are so very grateful for all of the support we have received. So many have expressed to us how much they enjoyed the event each year and how much they will miss it. We too will miss it very much, but we hope that you will keep Randy’s joyful spirit and love of life alive in your hearts forever. 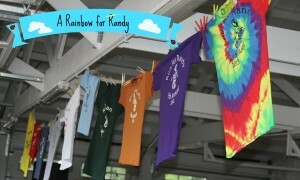 It means the world to us to see our “Run for Randy” t-shirts all around town and beyond! We hope you will wear them with pride! You have done something so meaningful in memory of Randy and for that we thank you from the bottom of our hearts. It is our hope that we will be able to continue to offer Randy Palya Memorial Scholarships for Soccer, Baseball, Softball and Basketball for as long as possible. We know how much these scholarships have meant to families in need of assistance. The recipients of these scholarships would not otherwise have been able to participate in these fun sports that Randy loved. We hope that you will consider donating to this wonderful cause. Thank you so much for your consideration and for all of the love and support you have shown to us. 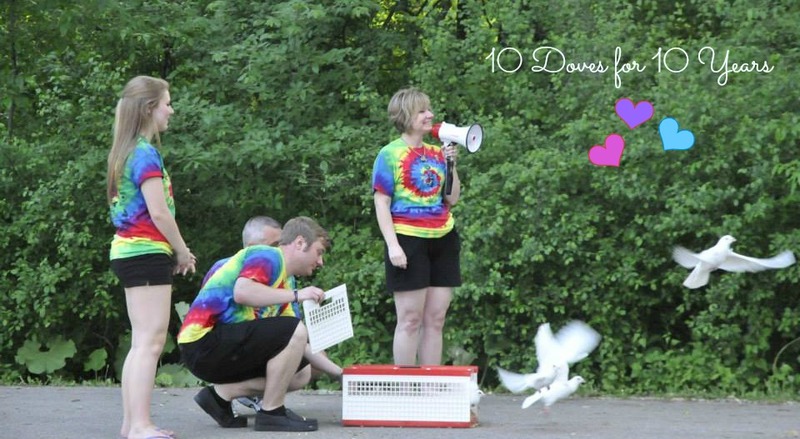 love and support we have been shown over the past 10 yrs. 10th and FINAL Run for Randy event! Run for Randy is an event held in memory and celebration of the life of Randy Palya. Randy was a 9 year old boy who, after a courageous battle with brain stem cancer, passed away in February 2004. Randy’s strength, courage and faith have been an inspiration to his family, friends and community. The event is a 3 mile run/walk held at Horse Fair Park in Spring Grove,IL. Registration fee is $15 for adults, $10 for children (14 and younger), or $50 for a family. Proceeds benefit Make-A-Wish Foundation, Bear Necessities Pediatric Cancer Foundation, Richmond/Spring Grove Food Pantry, Turning Point, Rainbows, Home of the Sparrow, Mainstay Therapeutic Riding Program, Big Brothers/Big Sisters of McHenry County, and many more local charities, as well as supporting the Randy Palya Memorial Scholarship providing soccer, baseball, softball and basketball scholarships for families in need of assistance. Participants receive a “Run for Randy” tee shirt, post race refreshments, and a warm feeling in their heart, knowing they have done something wonderful in memory of Randy! This event has grown over the years, and with YOUR HELP we can make this year’s 10th and final event the BIGGEST and BEST yet!!! We are so thankful for your support which has allowed Randy’s undying spirit to touch the lives of many special children! We hope you will join us this year for the RUN FOR RANDY! 2013 10th Annual Run for Randy is now available online ! Neither rain nor chilly temperatures kept our wonderful supporters away… and for that we are truly thankful. As our event date drew closer and as we were monitoring the weather ever so closely through the week our hearts grew heavy as we realized that the weather was just not going to cooperate for the Run for Randy this year. 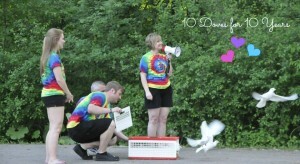 We feared that all of our planning and preparation and excitement for the big day was all in vein. We would never have imagined the terrific turn-out we would have even with temperatures in the 40’s and steady rain all day! We are so grateful to all of you who continue to support the Run for Randy! We had 1200 registered participants and we estimate that we had nearly 800 people in attendance that day! We truly feel that this year’s event turned out to be one of the most special so far! To see all of those people lined up at that starting line to run or walk 3 miles in the rain and cold for our Randy was quite a touching sight to see. We are truly overwhelmed by the love and support that has been shown to us. We thank you all from the bottom of our hearts for celebrating the life of our precious son with us in this amazing and special way and we are so honored to be able to contribute to so many wonderful charities through the outstanding support of the Run for Randy. THE BIG DAY IS FINALLY HERE!!!!!! Come celebrate Randy with us!!!!!!! Prep for 9th Annual Run for Randy is under way ! Been enjoying the mild winter? Take advantage of these warm days!!! 9th Annual Run for Randy!!! Run for Randy is an annual event held in memory and celebration of the life of Randy Palya. Randy was a 9 year old boy who, after a courageous battle with brain stem cancer, passed away in February 2004. Randy’s strength, courage and faith have been an inspiration to his family, friends and community. The event is a 3 mile run/walk held at Horse Fair Park in Spring Grove, IL. 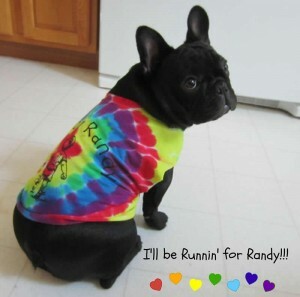 Participants receive a “Run for Randy” tee shirt, a thank you gift, refreshments, and a warm feeling in their heart, knowing they have done something wonderful in memory of Randy! This event has grown over the years, and with YOUR HELP it can continue to grow, allowing Randy’s undying spirit to touch the lives of many special children! We would like to express a most sincere and heartfelt THANK YOU to all of our SPONSORS, VOLUNTEERS and PARTICIPANTS who made the 8th Annual Run for Randy the incredibly special event that it was. We are so thankful for the beautiful day that the Lord provided for us. We are very moved by how our community comes together, and we are so touched by the support that we have received over the past 8 years. We have many sponsors who have contributed every year and we have new sponsors who enthusiastically joined us this year! We have loyal volunteers who tirelessly work for hours before, during and after the event to ensure that everything runs smoothly. We have participants who come to our event every year, and we have new participants who joined us this year for the first time. We are so grateful to ALL of you for the love and support that you have shown to our family and we are thankful for this opportunity to celebrate the life of our precious Randy. We know that Randy must have been smiling in Heaven as that amazing crowd of people, all wearing orange t-shirts, ran and walked in memory and in celebration of his life. Your participation in this event allows Randy’s spirit to touch many lives through all of the donations that we are able to make. Thank you all for joining us at the 8th Annual Run for Randy and we sincerely hope that you will join us again next year! God bless you. 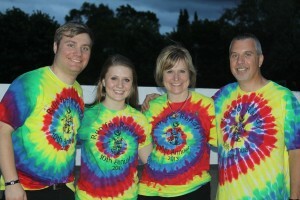 Run for Randy is an annual event held in memory and celebration of the life of Randy Palya. Randy was a 9 year old boy who, after a courageous battle with brain stem cancer, passed away in February 2004. Randy’s strength, courage and faith have been an inspiration to his family, friends and community.The event is a 3 mile run/walk held at Horsefair Park in Spring Grove, IL. The 7th Annual Run for Randy 2010 can best be described as a BEAUTIFUL day spent with BEAUTIFUL people. We are again amazed and overwhelmed by the tremendous support we received for the Run for Randy this year. It is difficult to put into words what this means to our family, but we are hopeful that all who attended could feel the heartfelt joy that seemed so abundantly present throughout the day. From Volunteers who arrived at the park bright and early, smiling and ready to serve; to gracious Sponsors who were so genuinely happy to have been able to contribute; to enthusiastic Participants whose positive energy was absolutely inspiring. It was truly an amazing day. The Lord blessed us with gorgeous weather, for which we are so thankful. We are so very proud of our community and all of the people who make the Run for Randy such a terrific success. To know that all of those people come together to remember Randy and to support our family is tremendously healing. To know the good that we are able to do with the funds raised at this event reassures us that Randy is continuing to touch the lives of so many, many people. We know he must be smiling in Heaven. Thank you all so very much for joining us at the 7th Annual Run for Randy, and we sincerely hope that you will join us again next year! God bless you. fee is $15 for adults, $10 for children (14 and younger), or $50 for a family. Proceeds benefit Make-A-Wish Foundation, Bear Necessities Pediatric Cancer Foundation, Richmond/Spring Grove Food Pantry, Turning Point, Rainbows, Home of the Sparrow, Mainstay Therapeutic Riding Program, Big Brothers/Big Sisters of McHenry County, and many more local charities, as well as supporting the Randy Palya Memorial Scholarship providing soccer, baseball and softball scholarships for well deserving children.